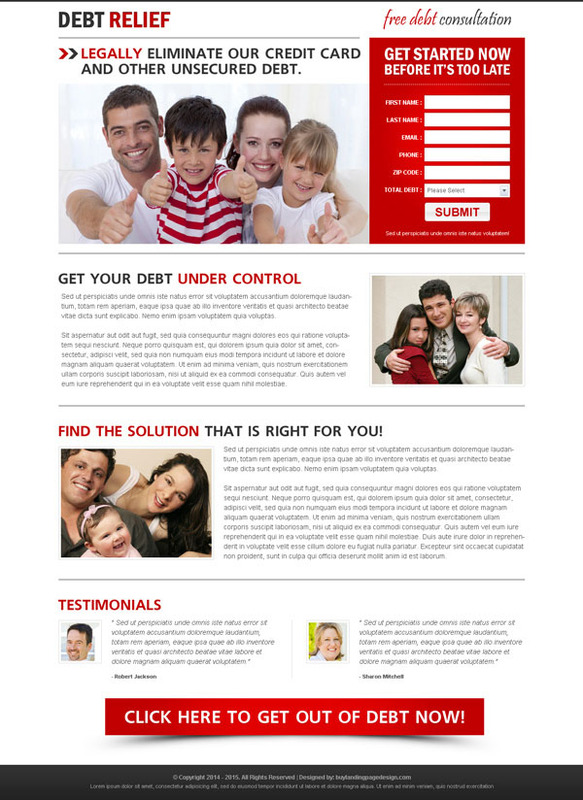 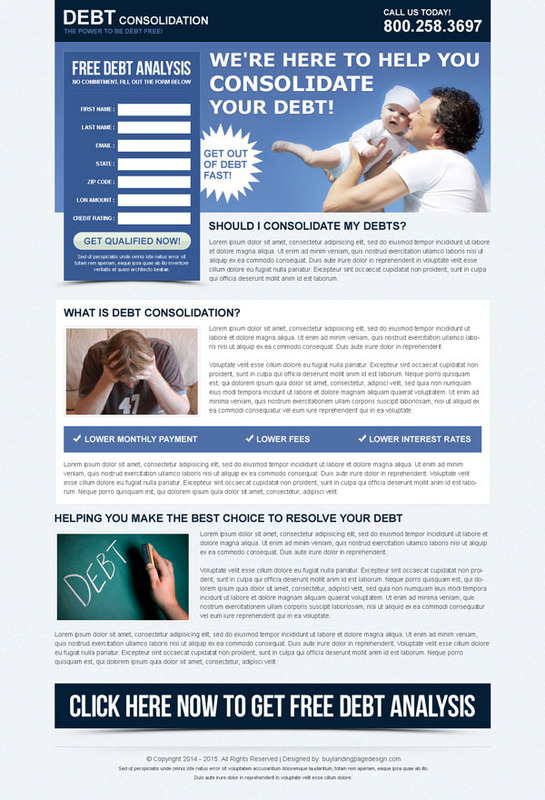 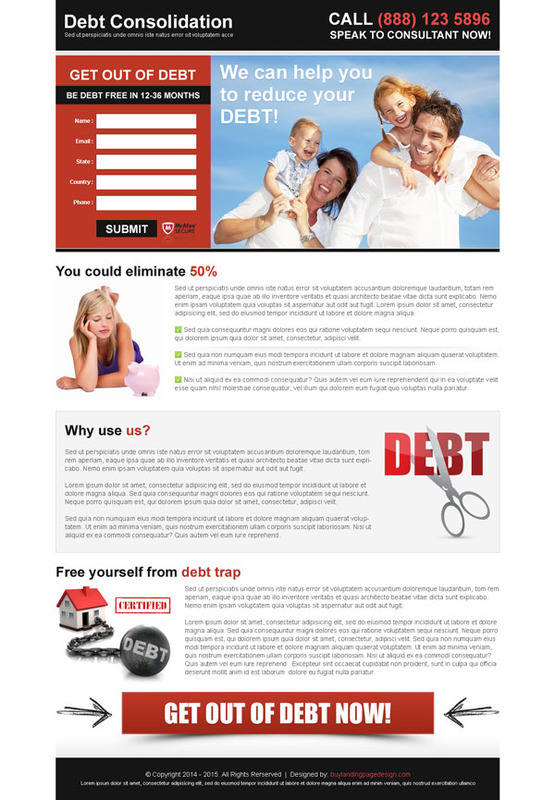 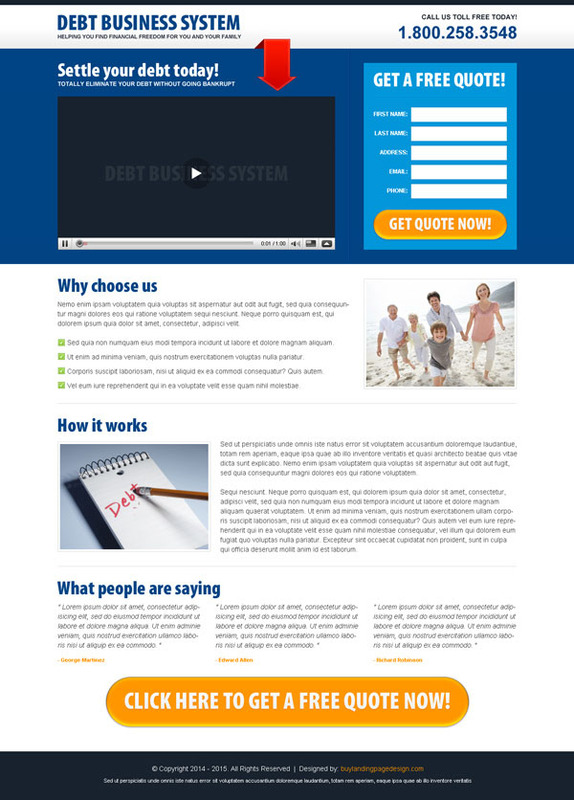 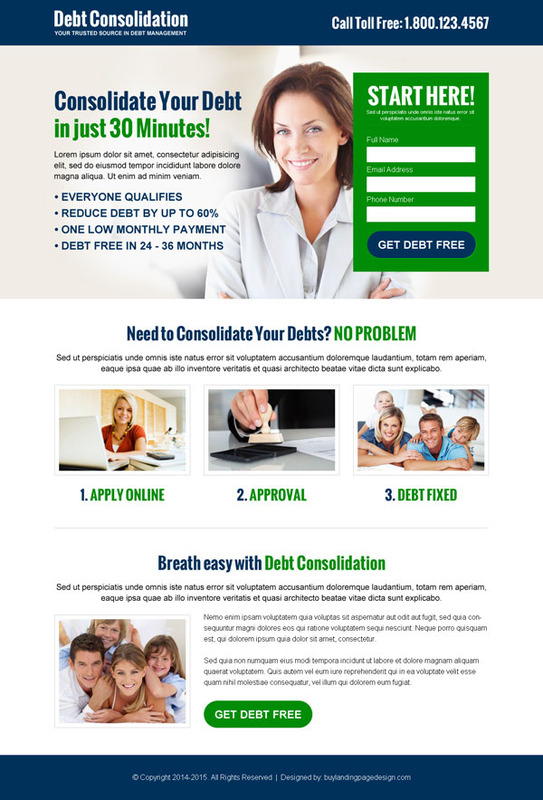 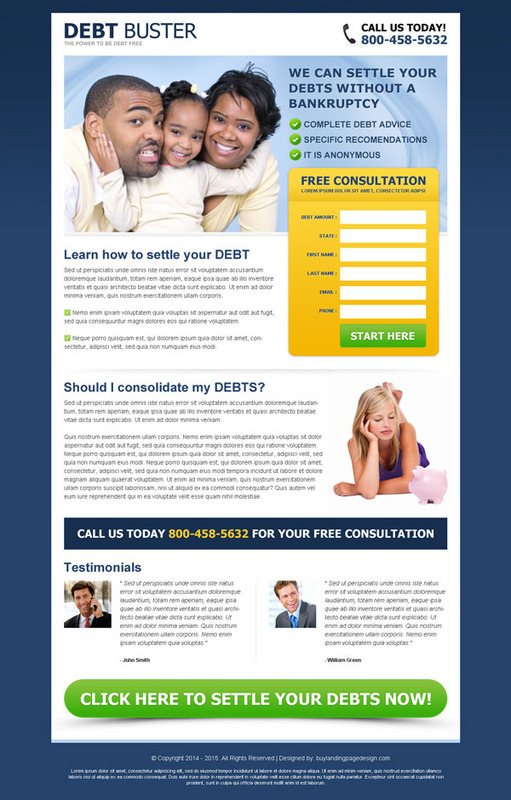 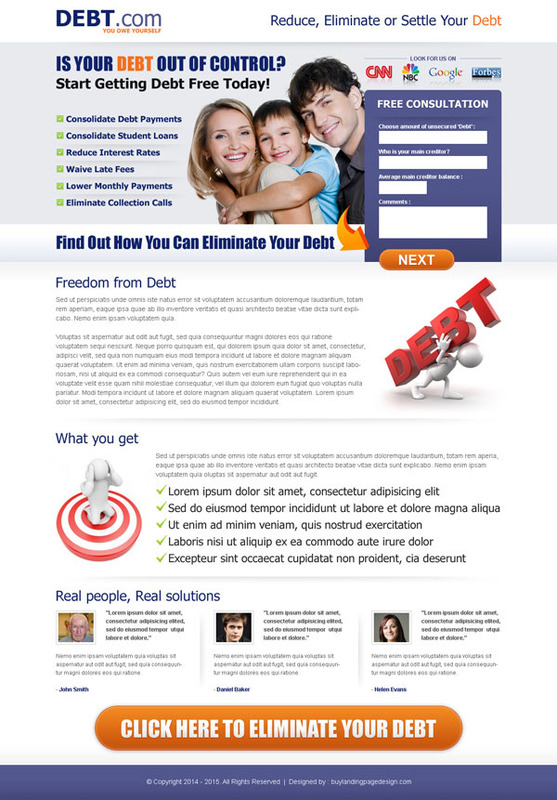 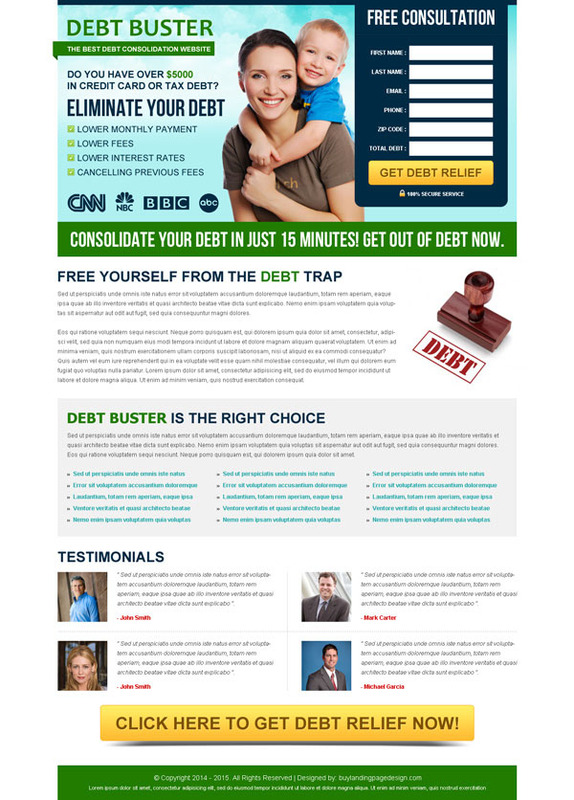 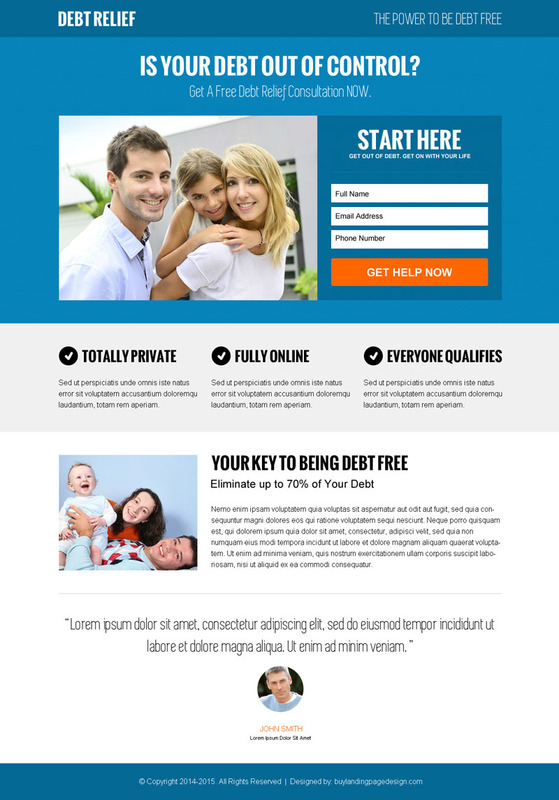 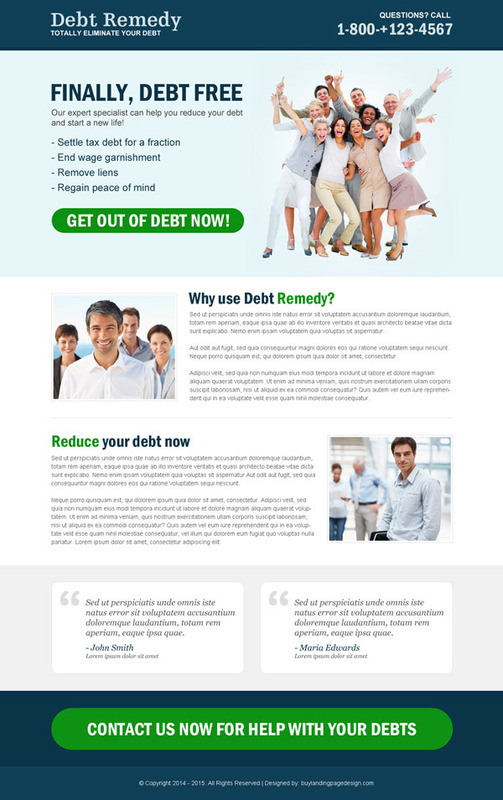 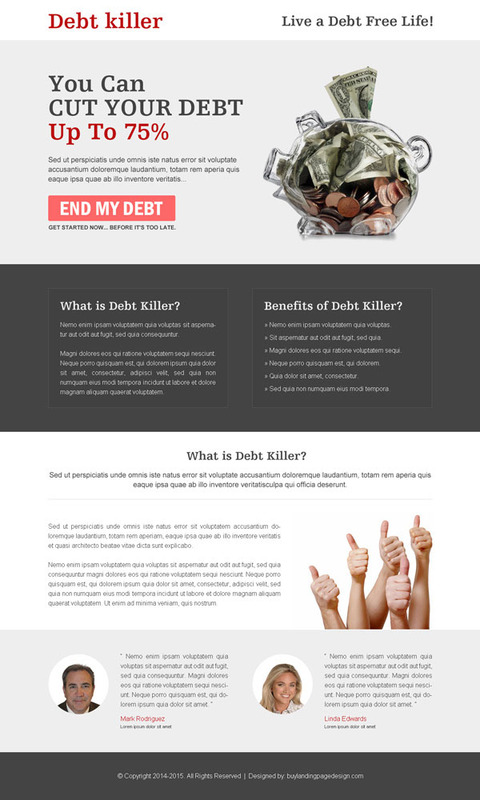 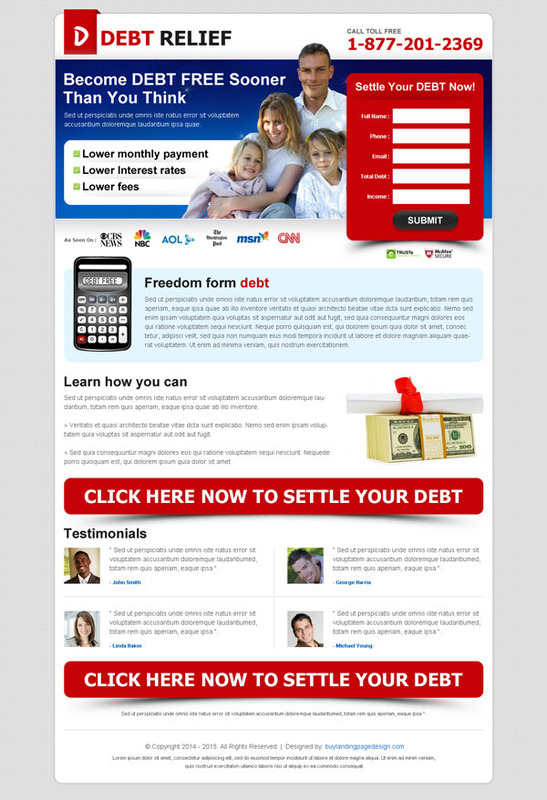 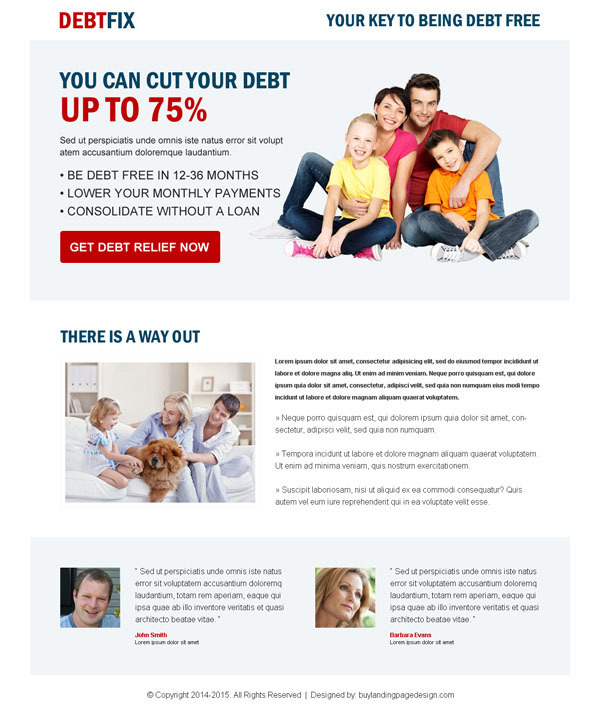 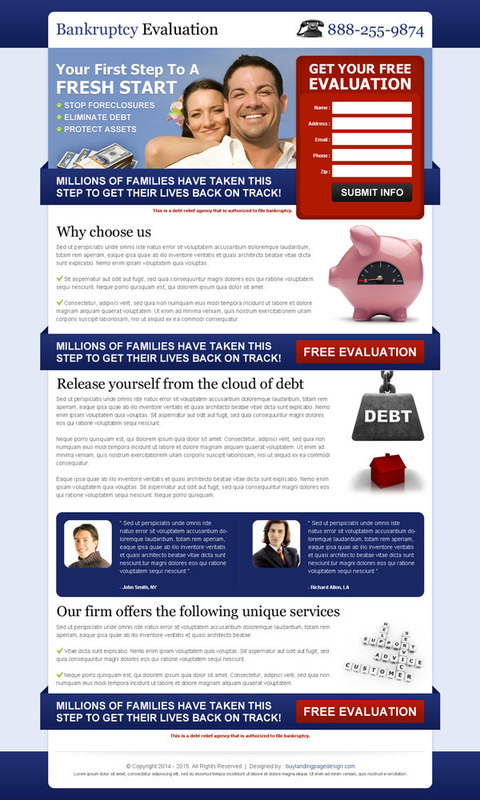 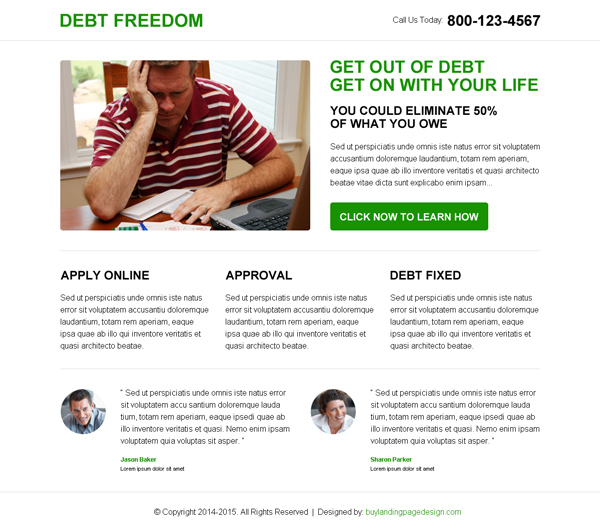 You can choose whether you need a static debt landing page or responsive debt landing page. 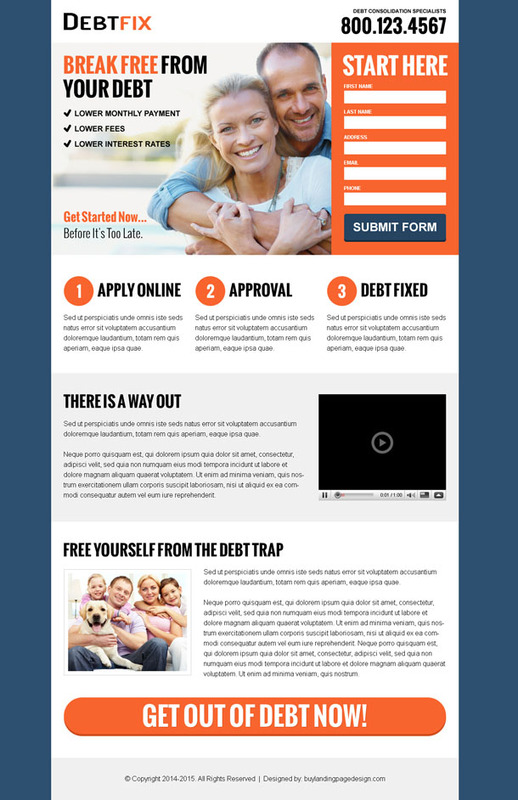 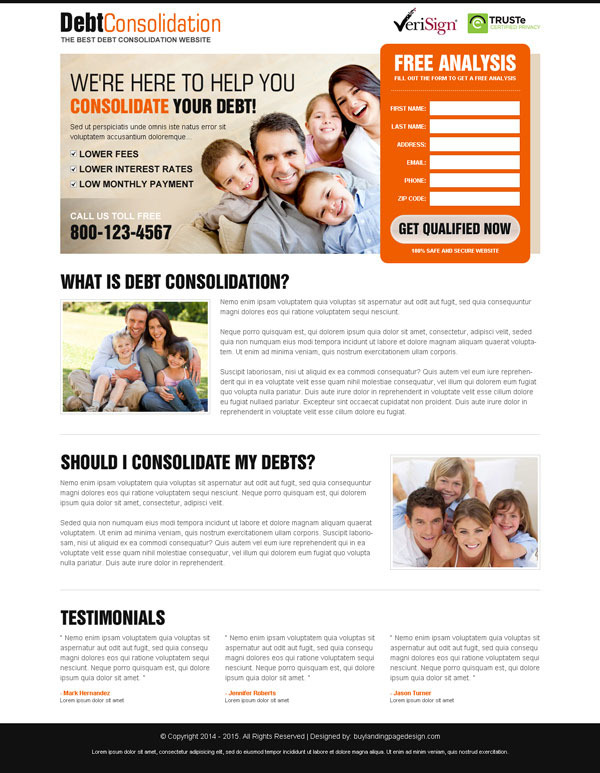 We have the best debt relief landing pages at a very affordable and reasonable price, you can purchase the landing pages according to your requirements with 3 price options. 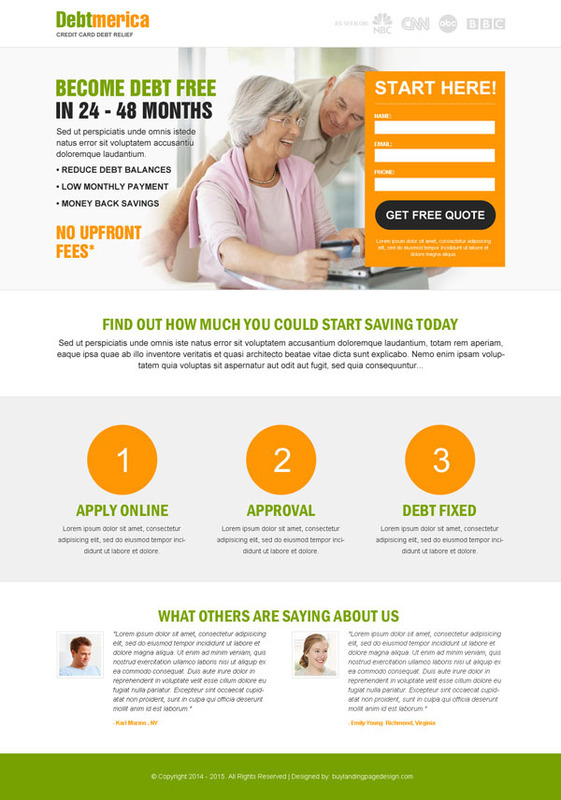 If you need any customization done or if you need a custom landing page done then you can get in touch with us with details and we will get back to you with quote, time frame and other details.